After a short hiatus, we at Birthing From Within are relaunching certification-track professional training! The process begins with Crossing the Threshold, BFW’s signature introductory retreat. Crossing the Threshold is an embodied workshop that encourages you to explore where you came from, where you are now, and where you are going in relation to birth in our culture. It provides an opportunity to let go; inquire within; be guided in art, mindfulness, and ritual; hear a Great Story; and emerge refreshed, inspired, and nourished. 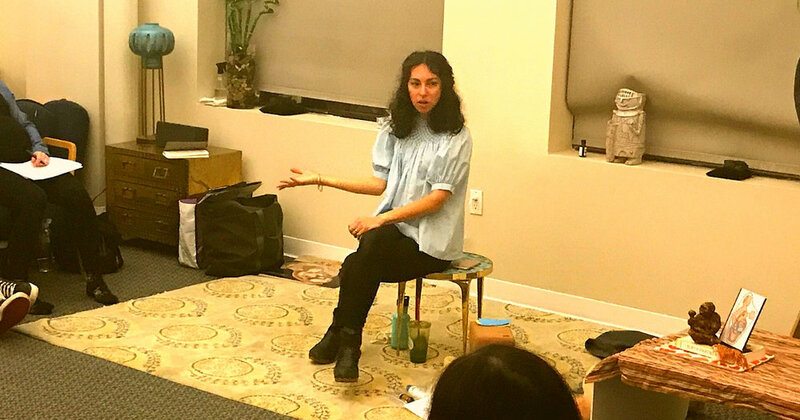 I am excited to be assisting at my first Crossing the Threshold in October in Denver, CO, on October 5-7 - and to be co-leading one with BFW co-owner Erika Primozich right here in NYC, at Birth Day Presence in Park Slope, in May 2019! 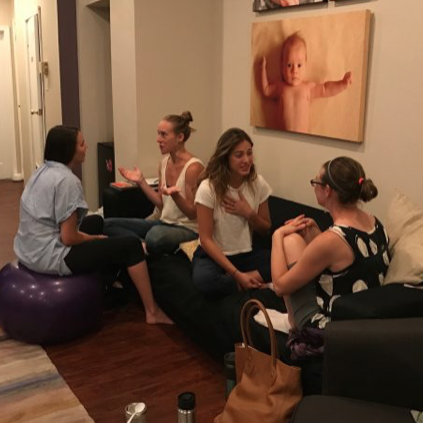 The very first Birthing From Within New York workshop for professionals in May 2018 was a hit! In that workshop, we explored the Great Story of the Mesopotamian goddess Inanna’s descent to the underworld, and how it can be a metaphor for any personal ordeal. In my next workshop, Transition and Other Transitions: Challenging Moments in Perinatal Support, we will dig a little deeper with Birthing From Within New York’s signature blend of intellectual, creative, literary, and experiential approaches. All birth professionals know that there are special challenges that come with this work. Often, difficult moments will haunt us - How might I have supported that parent better? Was a particular unwished-for outcome partially my fault, or could I have done something more to prevent it? Why couldn’t I influence this parent to make healthier choices? How could I have avoided a moment of conflict with the medical care team? In Transition and Other Transitions, we will consider WHY birth work is so prone to these challenges that leave such lasting emotional echoes, and we will work to re-envision our personal challenging moments and heal our hearts. In Part 1, on September 29, we will examine the classic hero’s journey as a map for the childbearing experience and as an explanation of the particular challenges that arise for all participants in a birth. In Part 2, on November 3, we will excavate our own personal difficult moments in birth support, and discover new, compassionate ways to understand them - and ourselves. You can register for either part independently, or both together. Birthing From Within founder Pam England teaching the hero’s journey map for the childbearing experience. This workshop is appropriate for those who work in a support capacity with people in their childbearing years - life coaches, therapists, fitness instructors, medical professionals, doulas, childbirth educators, lactation professionals, pastoral caregivers, etc. Both workshops will be held at the Birthing From Within New York studio in Central Harlem.